Everette Harp » Austin Jazz Festival | Memorial Day Sunday| Austin Texas - Keep calm and jazz on. Everette Harp began his interest in jazz as early as 8 yrs. old when he discovered 2 jazz albums in his parents collection of gospel records. Having played the saxophone for 4 yrs by this time, these 2 jazz albums gave Harp an idea of where he wanted to go with the saxophone. In Junior High Everette progressed as a jazz soloist under the guidance of his music teacher Buddy Smith. Everette was named “Outstanding Soloist” in every jazz festival competition entered by his Jr. High jazz band. Harp proceeded on to the High School for the Performing Arts where he continued his winning ways with the award winning high school. Harp was also honored with the prestigious “Downbeat Award,” by Downbeat Magazine, for outstanding jazz soloist in 1979. Everette then proceeded on to North Texas State University where the reputation for their jazz department was world-renowned. Here Harp continued to hone his jazz, and overall playing skills, while working towards his music education degree. Returning to Houston, Everette worked as an associate accountant for 6 months while playing in clubs at night. After realizing he could do well financially with just playing music, Everette made the leap into the music world full time and never looked back. Everette played the club scene in Houston from 1982 –1988 before moving to Los Angeles. During that stint in the Houston club music scene, Everette was considered the top sax player in town. Having yearly contracts with clubs there in Houston – Everette was not wanting for work. He also supplemented his club work with studio recording work, as well as jingle work. Being top call in Houston, while great, was not where Everette wanted to stay, so he moved to Los Angeles in 1988, where he immediately got work with Teena Marie, and then on to an extended tour with Anita Baker. He was Mrs. Baker’s saxophonist for 6yrs, but not exclusively. During this period he also did tours with singers Sheena Easton, Kenny Loggins, Luther Vandross, George Duke, Al Jarreau and Marcus Miller. Everette was also the sax player in the Arsenio Hall band for the last year and a half of the show. It was in 1991 when Harp was presented the opportunity sign a record deal with prestigious the Blue Note Jazz label. Harp recorded for Blue Note for ten yrs. doing 5 cds. He then moved to upstart indie A440 Records for one record, then to Shanachie Records where he is presently under contract. 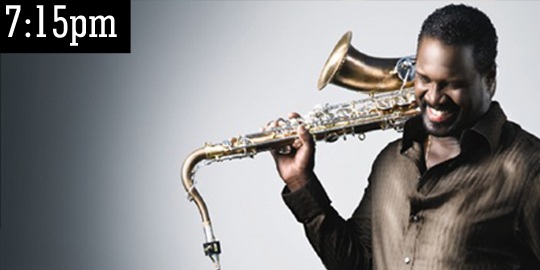 He continues to record and tour as one of contemporary jazz’s top saxophonist. Visit Everette’s website for more information.